garam roasted pineapple & yam | eating with S.O.L.E. 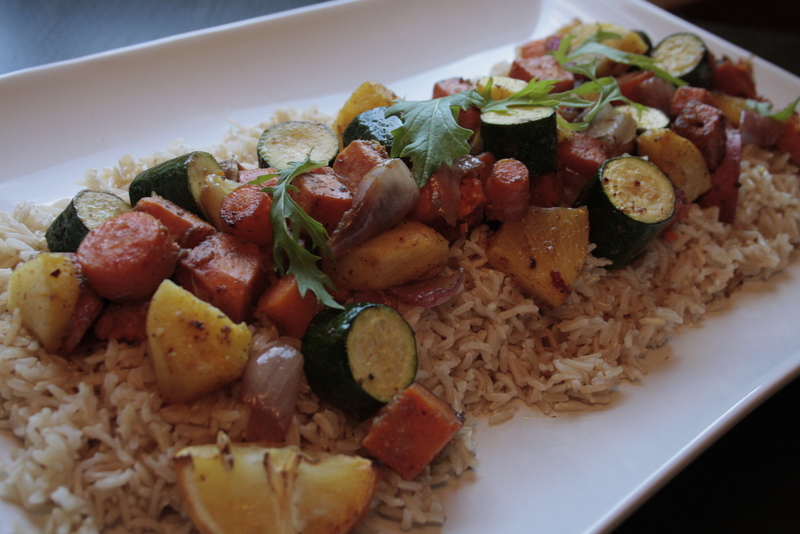 I served these roasted veg on a bed of brown basmati rice with a sprinkle of nutritional yeast, but as I was enjoying them I wished they rested on a bed of lemon wilted greens like spinach or chard … next time! To enjoy this lovely dish in just 35 minutes start by greasing a large roasting pan with1/4 cup of vegetable oil. Roast for an additional 15 minutes serve and enjoy.